Charter a private jet to Milan (Milano), one of the most stylish cities in the world and the most financially important city in Italy. Milan, a global leader in fashion and design, is the second largest city in Italy with a metro area home to more than 3.2 million people. Renting a luxurious private jet is the most convenient, comfortable and stylish way to arrive in Milan, and ACA is your dedicated partner for air charter service and helicopter transfers during your time in Lombardy, Italy. Air Charter Advisors arranges on-demand Milan private jet charter service, and our services extend around the world. 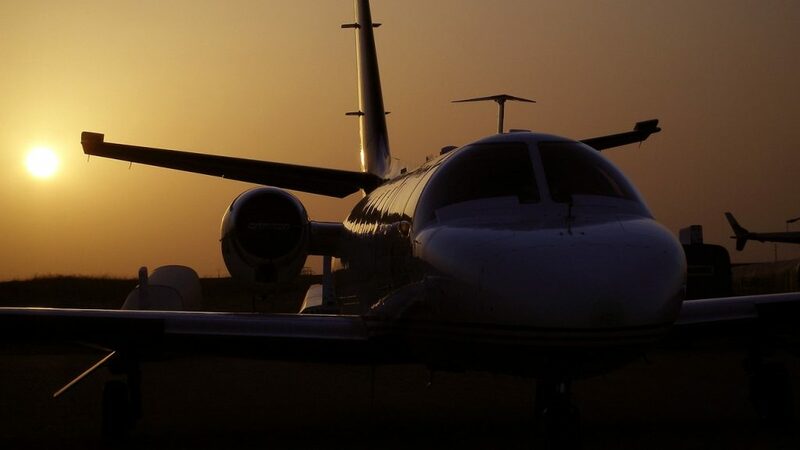 Whether you’re flying from Europe, Asia, the Americas, or anywhere in between, our team has access to thousands of luxurious, stylish private jets and turboprops to connect you with the perfect aircraft anywhere in the world. Safety is our company’s number one priority, and ACA goes the extra nautical mile when reviewing aircraft options for your trip. Our jet charter company is Wyvern-certified, one of the highest accreditation standards in private aviation. Using up-to-the-minute reports, our brokers review aircraft maintenance reports, operator history and pilot experience when selecting an aircraft and crew for your flight. The aircraft we use for charter flights to Milan are operated by FAR Part 135 or 121 (or foreign equivalent) air carriers, and always flown by veteran pilots with experience in your requested jet type, not pilots fresh out of flight training. ACA clients have included royal family members, heads of state and C-level executives, as well as VIP celebrities, personal assistants and leisure travelers visiting for business conventions, the Milano Film Festival, performances at Teatro alla Scala, Milan Fashion Week and more. Enjoy the peace of mind you get from working with a company you can trust, and ACA will become your private aviation solution for luxury air travel, aircraft sales & acquisition and airplane management in Milan, Italy. Call us at 1-888-987-5387 or request a quote for Milan air charter service. Your personal jet charter broker will be available 24 hours a day and 7 days a week to ensure that your needs are met exactly when they need to be, and nearly any amenity can be arrange upon request – consider our Milan Private Jet service your comprehensive source for all things private aviation in Italy. Air Charter Advisors arranges private jet service to/from any destination around the world. Check out our full list of destinations and learn more about private aviation in these related cities. If Rome is “old” Italy, then Milan is the “new” Italy – however, Italy’s most modern city still holds a rich history to explore after your flight arrives. Milan has been known around the world as a center for arts, music and education for centuries, and in modern times, it’s a world famous center of fashion. It’s located in the northern Italian region of Lombardy, and showcases the region’s renowned cuisine. The city was thoroughly bombed during World War II, and rebuilding has left a modern appearance compared to ancient Italian cities such as Rome and Florence. Still, there are many treasures to be discovered, including The Last Supper in the Church of Santa Maria delle Grazie by the famous artist Leonardo da Vinci. The Brera Palace is where private jet travelers can find a wealth of artwork by Titian, Bernardino Luini, the Bellinis and Raphael, including Raphael’s Marriage of the Virgin and Bellini’s Saint Mark. Check out the expanded sections below to learn more details in preparation for your charter flight. 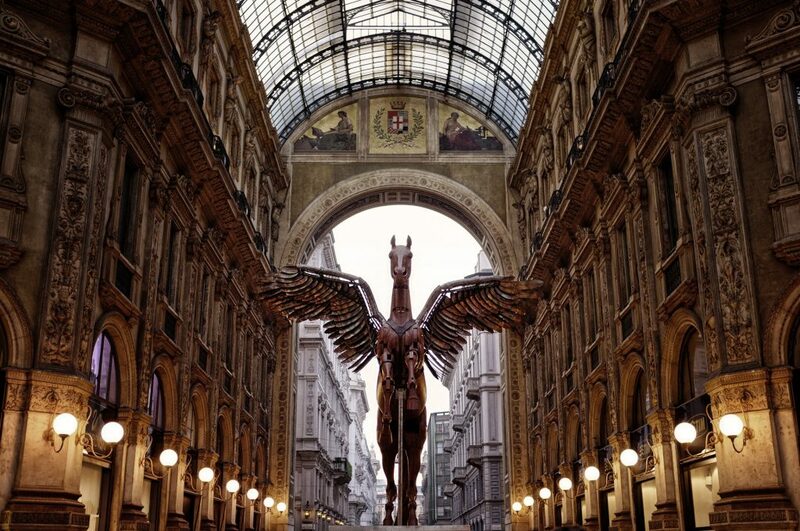 One of the top destinations for travelers and art enthusiasts, hire a private luxury jet and fly to Milan, Italy to find yourself at the hub of Italian culture, music, media and sports. 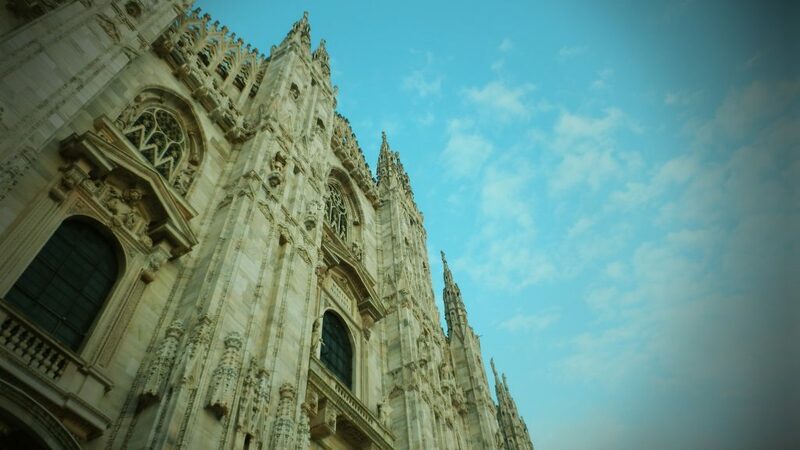 The Milan Cathedral (Duomo: pictured above) is one of the largest, most beautiful Gothic churches in Europe; construction began in 1385 and was finally completed around the time of Napoleon I. The Duomo is made of white marble in the shape of a Latin cross, and it’s the third largest church in Europe. From the roof of the Duomo, you can survey the city with a spectacular view of its renowned architecture. Milan’s renowned opera house, Teatro alla Scala, was built on the site of a church in 1778 and features an opulent interior with acres of red velvet and gilded balconies. Visitors with an appreciation for Italian art can visit Leonardo Da Vinci’s famous painting “The Last Supper” at the Santa Maria delle Grazie; private jet travelers with a need for speed can head to the renowned Autodrome di Monza, a world-famous race circuit where the F1 series hosts its annual Italian Gran Prix at the end of summer. One of the best things to do while you’re here is join the locals for a soccer match over at the San Siro (pictured below). 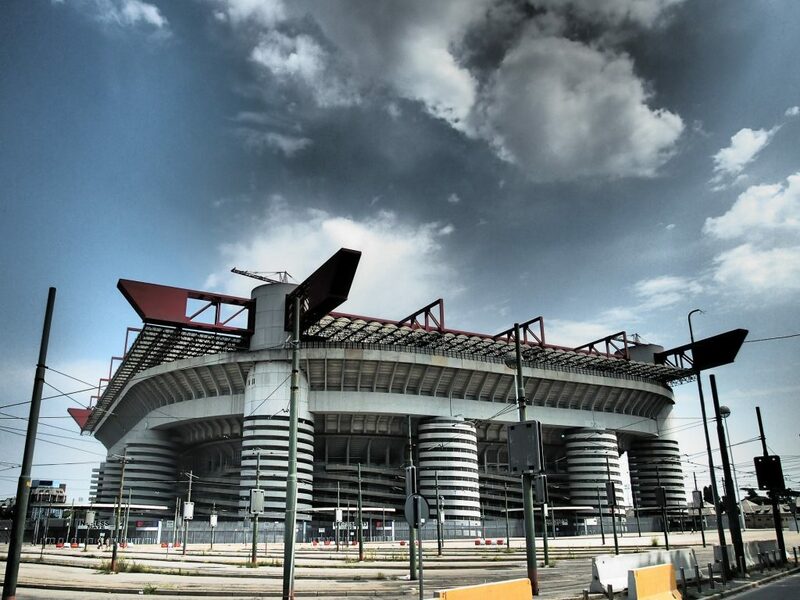 The stadium is home to AC Milan and Inter Milan, two of the most successful clubs in European football. 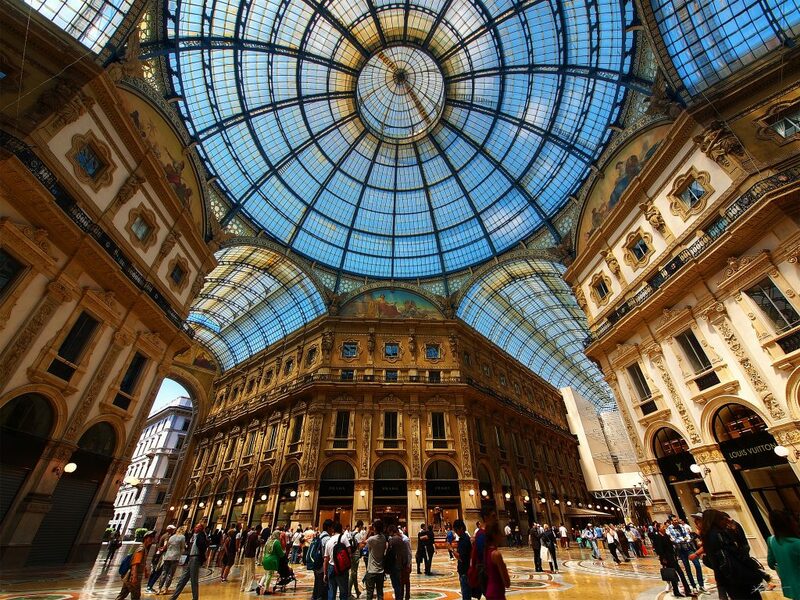 Home of the annual “Fashion Week” in February, fashion conscious jet travelers will find themselves in paradise – built in 1867, the Galleria Vittorio Emanuele arcade is one of the world’s most glamorous and oldest shopping malls. 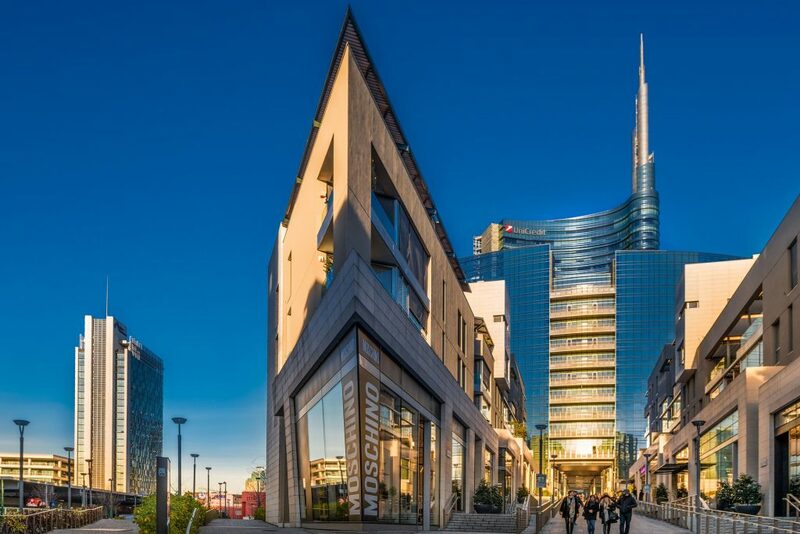 10 Corso Como is loaded with bookshops, cafés, galleries and restaurants while becoming an essential port of call for anyone interested in the latest fashion trends. The Quadrilatero della Moda, also known as “the Rectangle of Gold”, features hot-off-the-catwalk threads from designers like Armani, Dolce & Gabbana, Prada and Versace. 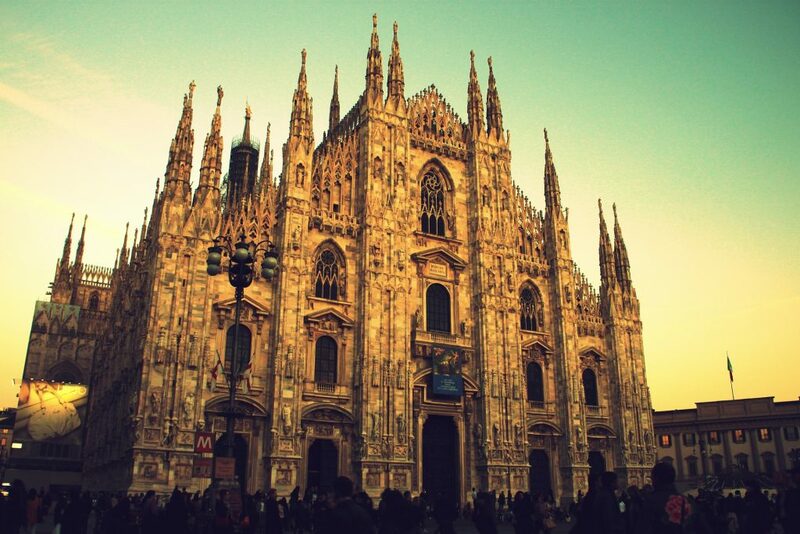 For our adventurous jet charter clients, Milan places you within reach of several excursions. Take a train to hike Cinque Terre, spend a day at Lake Como, or head to the Italian/Swiss border and ski the alps along the Matterhorn. Our passengers have told us the ideal time to visit is between April and May, or late-September to October; these spring and fall months just miss peak tourist season while escaping scalding temperatures over the summer. Check out more of our recommendations for things to do after your jet charter flight. Need to arrange a private charter flight to/from (LIN) Linate or (MXP) Malpensa in Milan, Italy? You’ve come to the right place! Air Charter Advisors is your best source for air charter service to/from northern Italy. We have access to thousands of Wyvern certified private jets based around the world, allowing us to offer the right aircraft at the right cost for your executive team. Flights between Rome and Linate are one of the most frequently requested routes for business jets in Europe. Milan, the world’s capital of fashion and one of Italy’s most popular destinations, provides luxury jet travelers many five-star hotel options for luxury vacations, getaways, business trips, and special events. Our top choice is the Presidential Suite at the Principle Di Savoia. This lavish 3 bedroom suite has welcomed celebrities, presidents and royalty, and is the perfect choice to compliment your luxury jet flight. Each room features a variety of art and antiques, along with touches or gold, wood and gem-colored velvet decor, and it’s the only room with its own swimming pool, part of a 100 square-meter private spa. Once you arrive via luxury private jet at the airport of your choice, our Milan Jet Charter service brokers can also arrange ground transportation to/from the hotel of your choice. Check our list below for our top luxury hotel choices after your private flight to Milan. Air Charter Advisors utilizes the following airports to arrange private jet charter service to/from Milan, Italy and neighboring areas. Rent a private jet to Milan–Malpensa Airport (IATA: MXP, ICAO: LIMC), the largest international airport in northern Italy serving more than 15 million people in the regions of Lombardy, Piedmont and Liguria. MXP Malpensa was previously known as City of Busto Arsizio Airport. (MXP) Malpensa is located 30 miles northwest of downtown Milan along the Ticino river, dividing Lombardy and Piedmont. The airport features two terminals and two 12,861 foot asphalt runways, as well as a dedicated cargo terminal. In 2016, Malpensa handled more than 19.4 million passengers, ranking it as the 29th busiest airport in Europe. Private jet travelers can take advantage of one of five available FBOs at Malpensa for efficient departures and arrivals. Request a quote for air charter service to/from (LIMC, MXP) Milan Malpensa. Fly private to Milan Linate Airport (IATA: LIN, ICAO: LIML), the region’s secondary international airport behind northern Italy’s major commercial hub, Malpensa. In 2015, (LIML, LIN) Linate served just under 10 million passengers, up more than 7% from the previous year. The domestic route between the fashion capital of (LIN) Linate and (CIA) Ciampino in the official capital of Rome is the most popular business jet route in Italy, and one of the most requested routes in European aviation. Request a quote for private air charter service between (MXP) Malpensa and (CIA) Ciampino–G. B. Pastine International in Rome, Italy. Milan Linate Airport features a single 3-story passenger terminal and two runways to accommodate air traffic; its main asphalt runway measure 8,012 feet long and is ideal for jets, and a 1,972 foot bitumen runway is available for smaller aircraft. There’s also a 92 x 92 foot helipad for helicopter charters. Private jet clients can enjoy timely arrivals/departures and an array of guests services at one of four FBOs located at (LIN) Linate. Book a private flight to Varese-Venegono Airport (IATA: QVN, ICAO: LILN), an airport supporting the Italian military and leisure aviation. It’s also known as Aeroporto Arturo Ferrarin. The airport is located in Venegono Inferiore in north Italy, about 30 kilometers northeastof (MXP) Malpensa, and (QVN) Venegono serves the Varese, Como and Milano provinces. Aeroclub di Varese, an Italian aero club since 1948 and one of the nation’s best flight schools, is based at the airprot. (QVN) Varese-Venegono features a single 4,659 foot runway for light jets and turbo-props. Hire a turbo-prop for a domestic flight and arrive at Bresso Airport (ICAO: LIMB), an airport located in Bresso, Italy. It features a single 3,453 foot runway for handling pistons, turbo-props and select light jets. (LIMB) Bresso was originally built in 1912, and it was mainly used by the military until 1960, when it became the permanent site of Aereo Club Milano. Today, Bresso Airport serves as a general aviation center for flying club activity, charter flights and air taxi. The following airports are located within 50 miles of Milan, and can also be utilized for your charter flight. Check out our Aircraft Gallery for more details on all of the planes available for your private flight to the Lombardy region of northern Italy. If you don’t see your preferred aircraft type listed below, speak to one of our brokers and they will locate one for you. Request a quote or give us a call at 1-888-987-5387 to speak with one of our Milan Private Jet Charter service brokers. Our team is available for you by phone and email 24 hours a day, 7 days a week. Whether you’re flying for business or leisure, we can help arrange the right aircraft and flight itinerary that best meets your needs. ACA believes in providing private flyers with a one-on-one consultative service experience that exceeds every expectation. We understand that your time, privacy, flight preferences and most of all, safety, are all extremely important, which is why you can expect quick response times and an easy, hassle-free booking process.